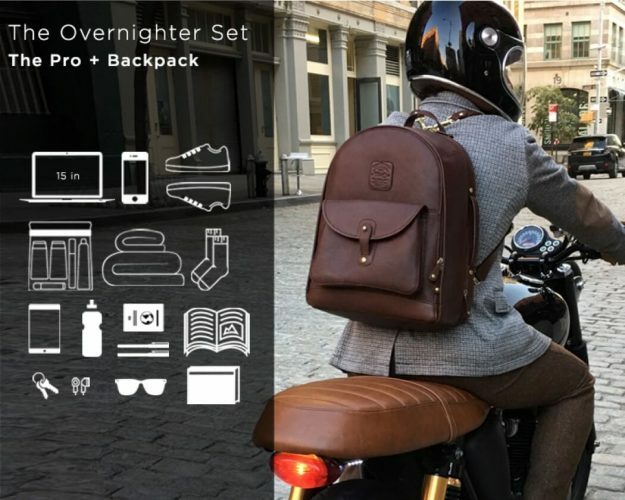 The World’s Most Functional Leather Backpack! For their Indiegogo campaign launched in late October, the Wool & Oak brand introducing the 6-in-1 Duffle Backpack Set, a foursome of bags which can adapt to your travel needs with just a click of a strap. 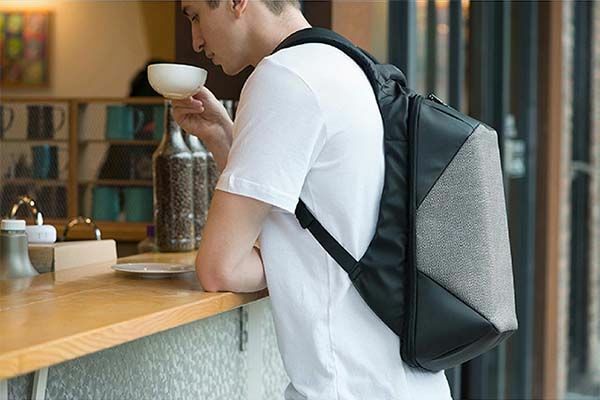 The Duffle backpack features airport security-friendly pockets for your tablet or laptop, for your passport, magazines and looped straps to hold pens, headphones or chargers. 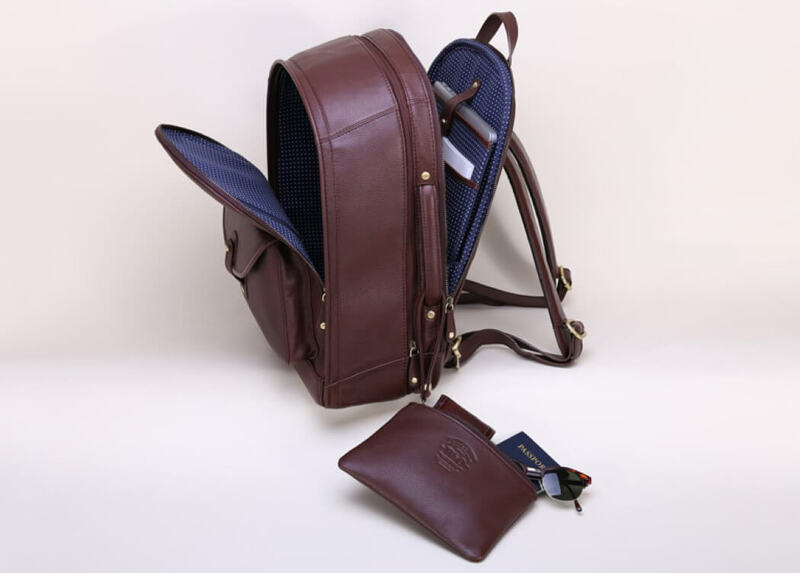 The exclusive feature of Duffle Backpack is the ‘quick zip’. 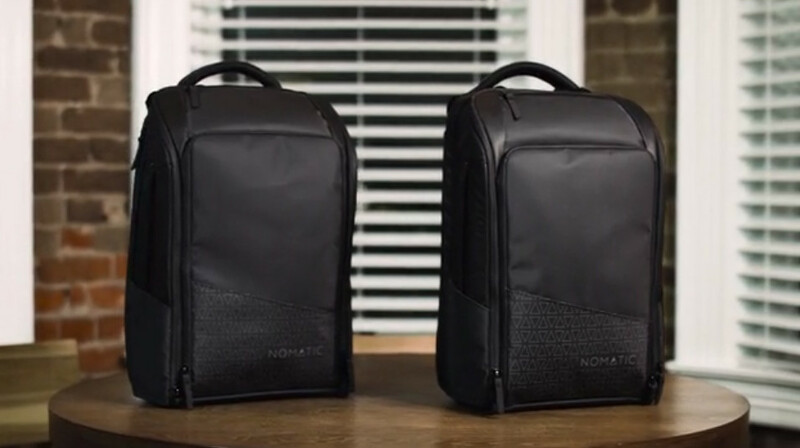 A unique function which allows you to turn the bag into two separate backpacks. 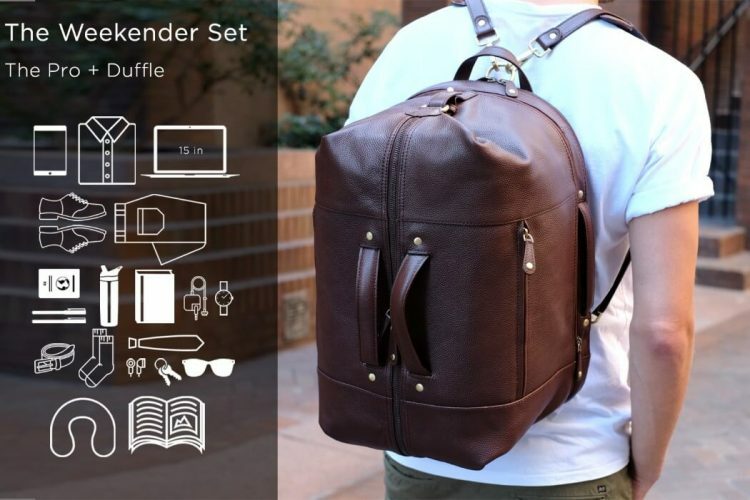 The Italian Leather Duffle Backpack is a one-of-a-kind modular backpack that allows you to swap, switch, merge, and separate components to create the storage solution you need on a day-to-day basis. The Leather Duffle Backpack has a lot of options you can choose from. Various colors and different backpack sets. The Pro is the base of the Duffle Backpack Set. You can use it alone or zip it onto the Duffle add-on or to the traditional Backpack add-on to expand its function. The Pro + Duffle. Use both bags individually or zipped together as the Weekender. Carry as much or as little as needed. 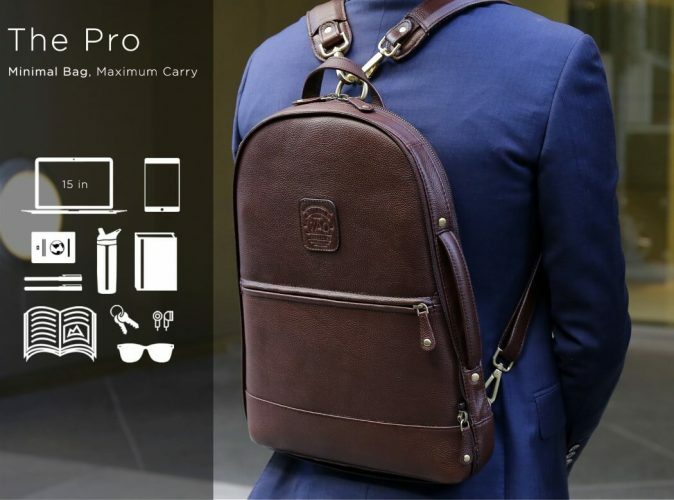 Pro + Backpack. Use both bags individually or zipped together. Whether you’re headed to the city, gym, to work to on a short road trip, organize your adventure equipped with a backpack as diverse as you. The ultimate traveling set. You get all 3 bags (The Pro, Backpack, and Duffle). Use them all individually or zipped up into The Weekender & The Overnighter. With up to 6 carrying combinations, this set offers unrivaled versatility, access, organization, and expansion. This multi-functional pouch is perfect for personal organization and quick access to essentials while on the go. Usable as a travel pouch, clutch, toiletry kit, shaving Dopp kit, or as a cosmetic case. Snap it onto your bag, stow it away or use individually. Beautiful, smart & compact- made from fine Italian leather, it is the perfect everyday bag. Great as a gift for yourself or your loved ones.